The following ten principles of recovery form the foundation for the support services provided by Warmline Peer Counselors (WPC). The belief that recovery is possible. We can and do overcome the internal and external challenges, barriers and obstacles that confront us. We are able to internalize hope with the help of family, peers, providers, allies and others. Hope is the catalyst of the recovery process. By definition, the recovery process must be self-directed. We each need to define our own life goals and design our individual paths to those goals. Our journeys of recovery draw on our unique strengths and capabilities, our preferences, experiences and cultural background. The help we receive along the journey must be uniquely molded to be meaningful and effective. Recovery is a non-linear journey characterized by continual growth and improved functioning that may include setbacks. While a natural but not necessarily inevitable part of recovery, our journey needs to foster resilience; our ability to pick ourselves up after a setback, and continue the journey. Our recovery journey must draw on our strengths so that it is by our choice and through our determination that we undertake and succeed at our journey. Our recovery journey must be about our strengths, needs, desires and aspirations or we will not be able to endure. Recovery encompasses our whole life including body, mind, spirit and community. As part of our recovery journey we need to address self-care practices, family, housing, employment, transportation, education, clinical treatment, health and dental care, spirituality, creativity, social networks and community participation. Part of our recovery is sharing our experiences with others. Giving and drawing wisdom from social networking strengthens our ability to continue the journey and get back up after a setback. Sharing our successes gives hope to others who may be struggling on their recovery journey. We can only undertake our recovery journey with the support and involvement of others. We need people who believe in our ability to recover; who offer hope, support and encouragement. We need allies?peers, family, community support systems and providers?to help us reach for a greater sense of belonging, person-hood, empowerment, autonomy, social inclusion and community participation. Our recovery journey is paved with the bricks of the culture with which we identify. Our cultural identity includes our values, traditions, beliefs, language and customs. Support on our journeys needs to be attuned to and sensitive to our cultural heritage or it will cause us to stumble and fall. For many of us, our recovery journey began with a traumatizing event or events. We must face these events and come to terms with them. With the help of support networks, we must find a way to make peace with the trauma and rewrite the end of the story so that the trauma no longer controls us. We are each a person with inalienable rights. We deserve the same rights afforded those not bearing the stigma of mental illness. We also deserve self-acceptance and self-respect. We deserve a positive and meaningful sense of ourselves and to believe that we are an important part of our social network. Consideration for self and others. Seeing clearly the fundamental humanity of self and others, and not through the filters of fear, desires, likes and dislikes. Recognizing and accepting self and other?s capacity for self-determination. Having a deep awareness of the suffering of self and others without the need to relieve it; appreciating its value while being in a state of non-judgment (it is neither good nor bad; neither deserved nor undeserved); being open to suffering and brave enough to experience it. Knowing we are inextricably connected to each other. 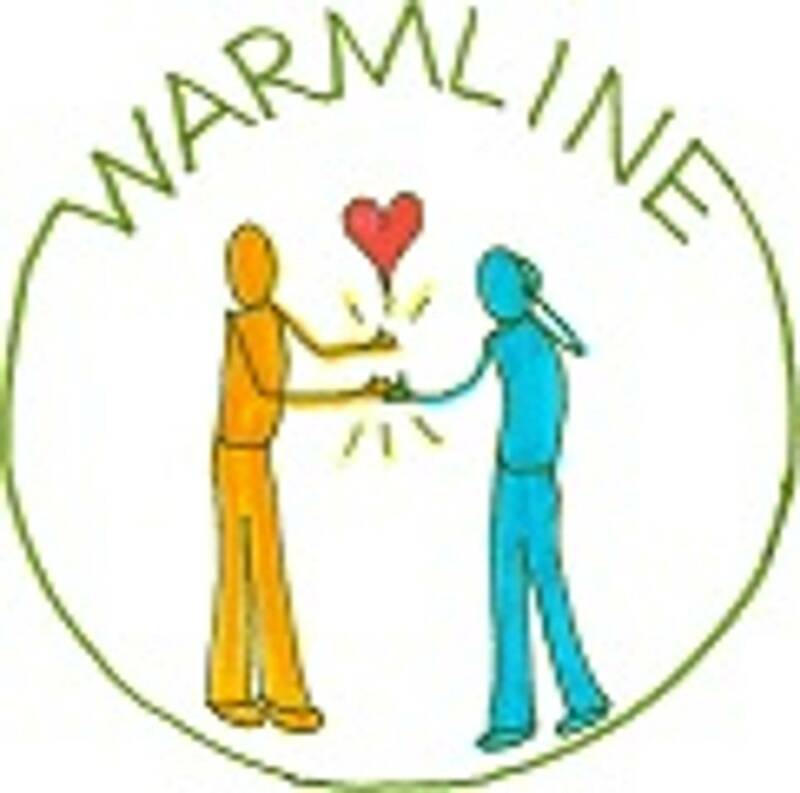 Creating a sense of belonging so that anyone coming to Warmline feels seen, heard and valued as well as can give and receive without judgment. It is with great gratitude that Warmline acknowledges the contribution of Dr. Brene Brown to our definitions of Trust, Compassion, Courage, and Connection. For more information on Dr. Brown's work, go to courageworks.com. Warmline also acknowledges Dr. C.R. Synder, for our defintion of Hope. For more information on Dr. Synder's Hope Theory see, The Psychology of Hope: You can get there from here. 1994 New York Free Press.